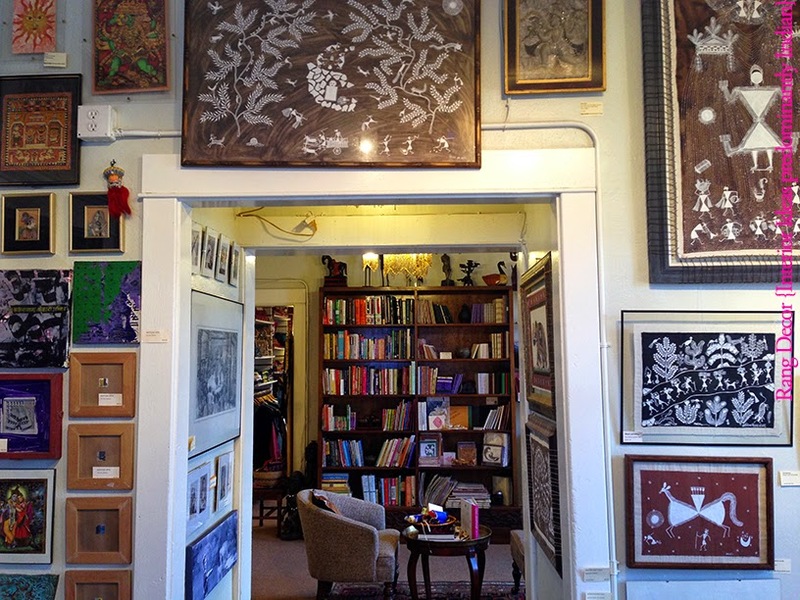 One weekend we were walking around, exploring the streets of Lyndale Avenue in Richfield and next minute we were entering the door to a store with a giant hot pink lotus painted on the wall. 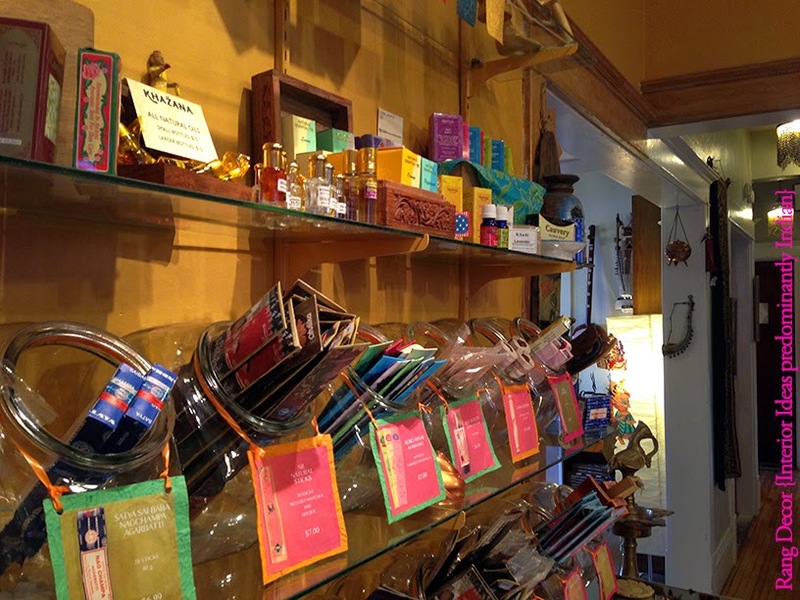 Walking into the store we were enveloped in the fragrance of floral incense and a welcoming smile by Kelly the hostess at Khazana. As we got talking she mentioned that she followed Rang Decor on Facebook. The exterior view of Khazana. 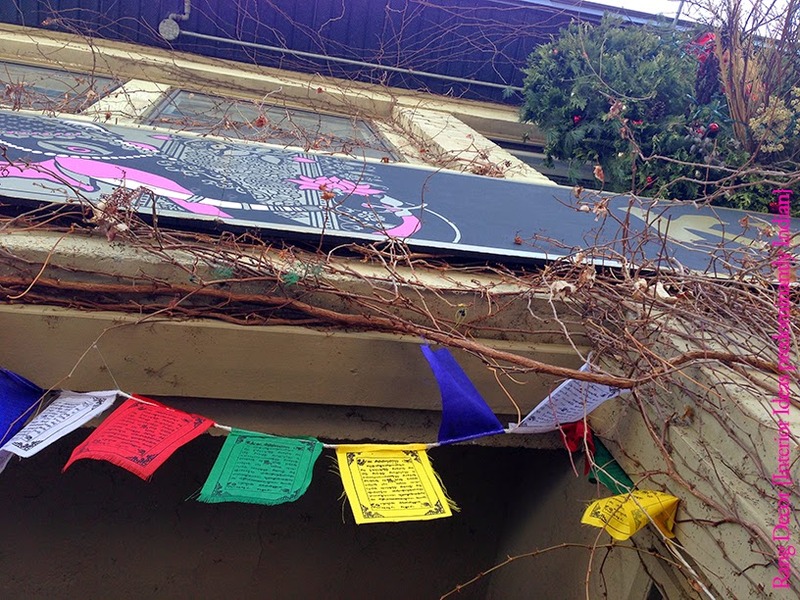 Prayer flags fluttering at the entrance. 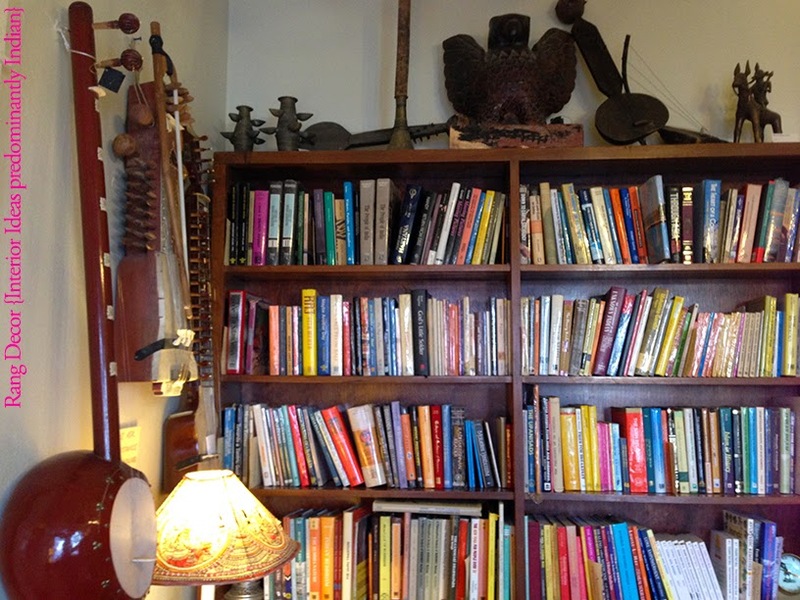 Khazana was born out of a passion for collecting art and stories. 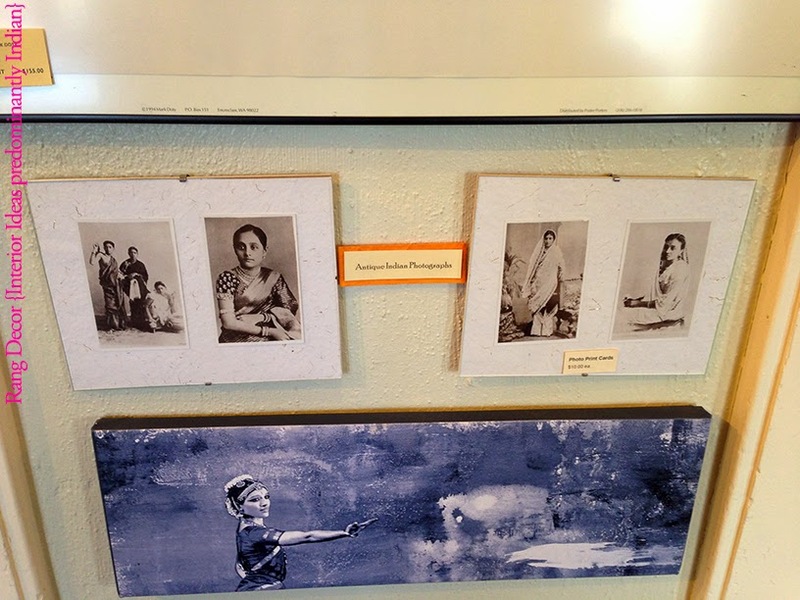 Anju Kataria grew up in India, but traveled extensively with her family from a young age, always collecting things from her travels. 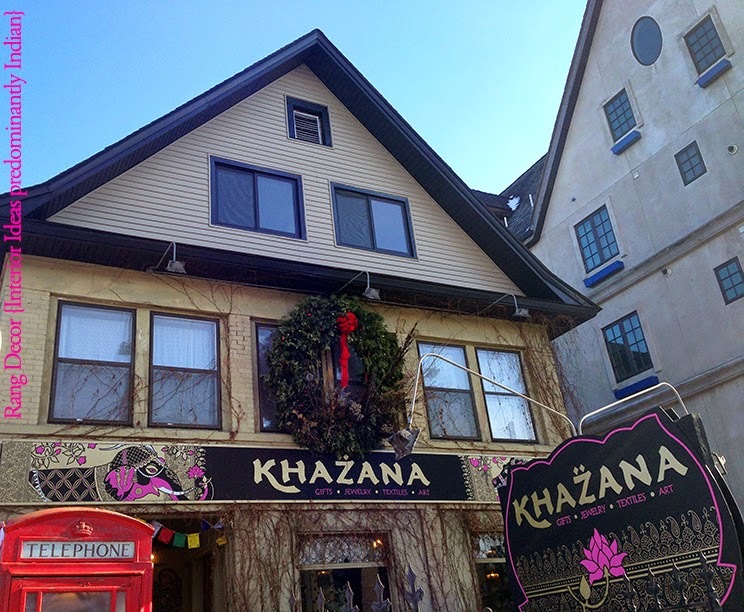 Khazana was born on Nicollet Avenue downtown in it’s first incarnation. 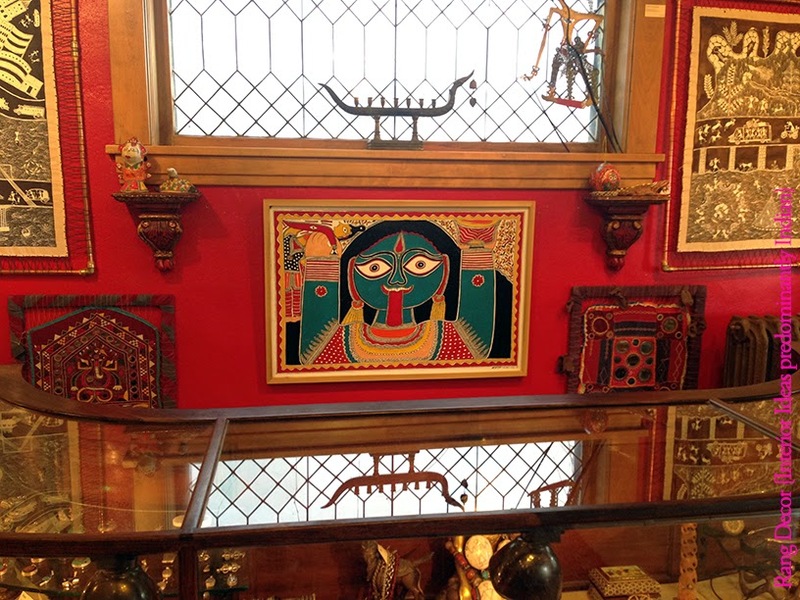 For the last twenty five years, Anju and her husband Ashu have continued to add to their incredible and unique collection, preferring to work directly with artisans and support local craftspeople, both in India and locally. 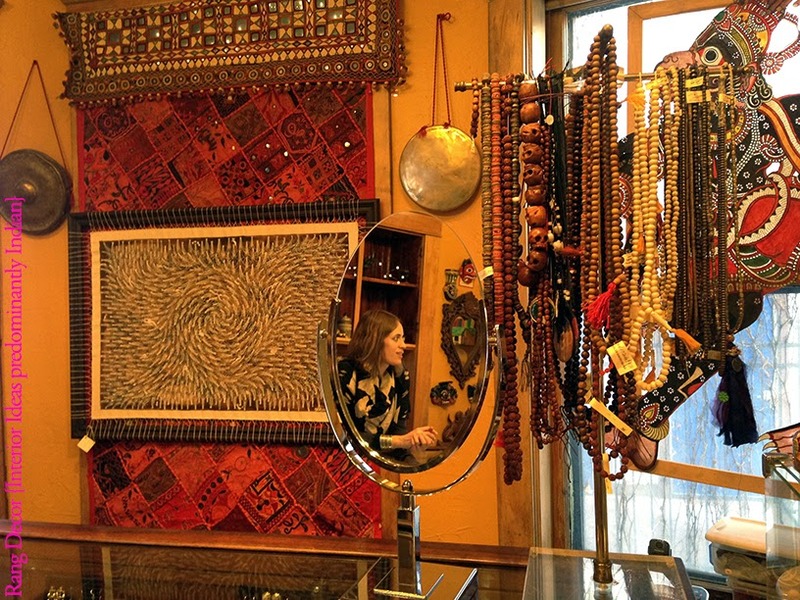 Khazana literally means 'treasure' and the store is a curated collection of treasures brought here to help tell the story of the people and places they come from. 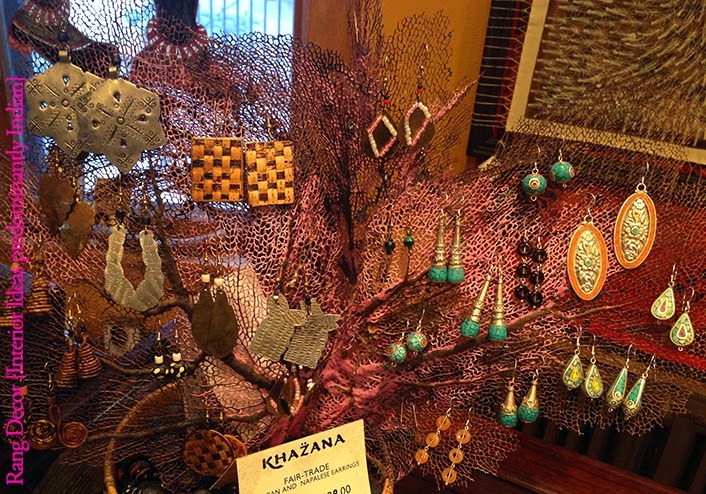 Khazana has a wide array of pieces but is known for textiles, bronzes, exotic jewelry and original artwork. 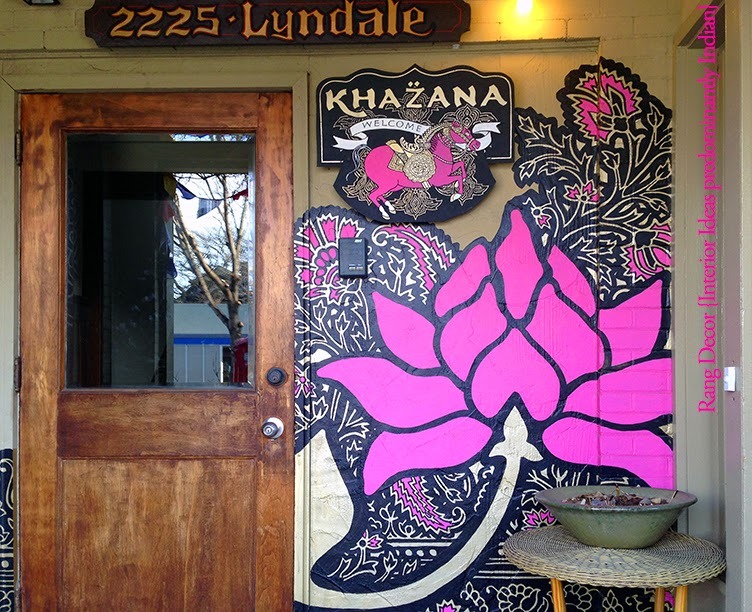 Three years ago Khazana found it’s final home on Lyndale when the Kataria’s bought a space Anju had loved for twenty years. 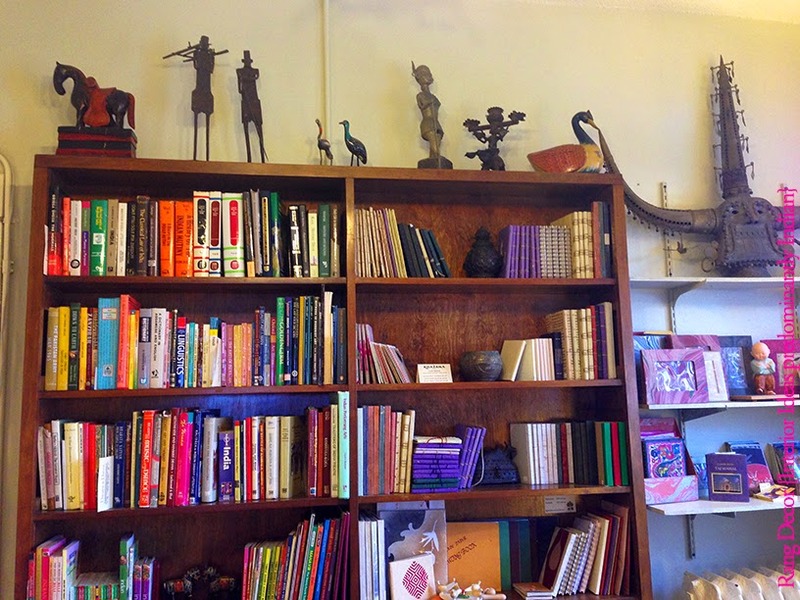 'In the last year we have begun to add more classes and interactive activities in an effort to expand how we can tell our story in the community, and provide a space for others to come and tell theirs. 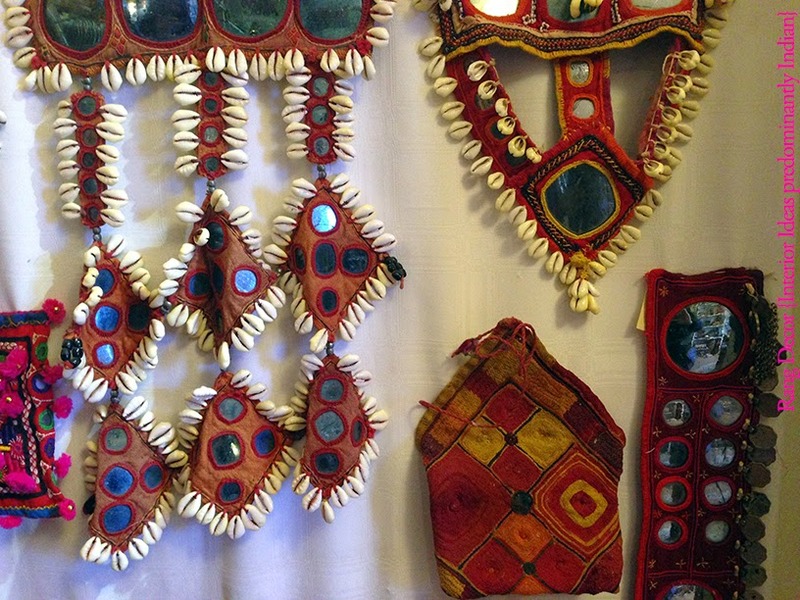 We plan on offering a travel component this year and are looking forward to being able to take people to the source of these incredible pieces. We have tried to create a beautiful place where people can walk in and feel as though they have stepped into a calm and inviting, and inspiring space. 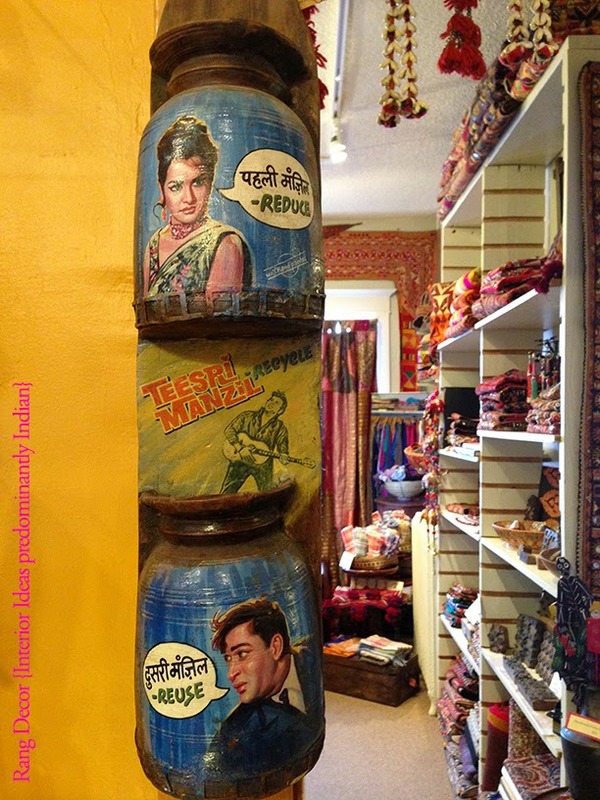 So if you find yourself in Lyndale Avenue in Minneapolis or are looking for unique gifts do drop by Khazana~ A true treasure trove. 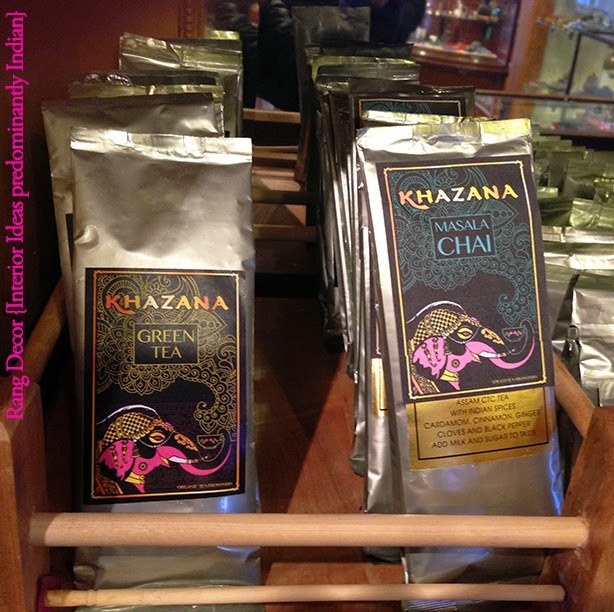 You can follow them on Facebook at Khazana. These are so beautiful and well presented!